Burrrr…with cold weather hitting much of the nation, the editorial staff at TrailblazerGirl got together and came up with their top 3 picks from the 2014 reviews for ways to enjoy and celebrate this cold weather. First off, really experience winter with Igloo-Village and their locations in the Alps and the Pyrenees. 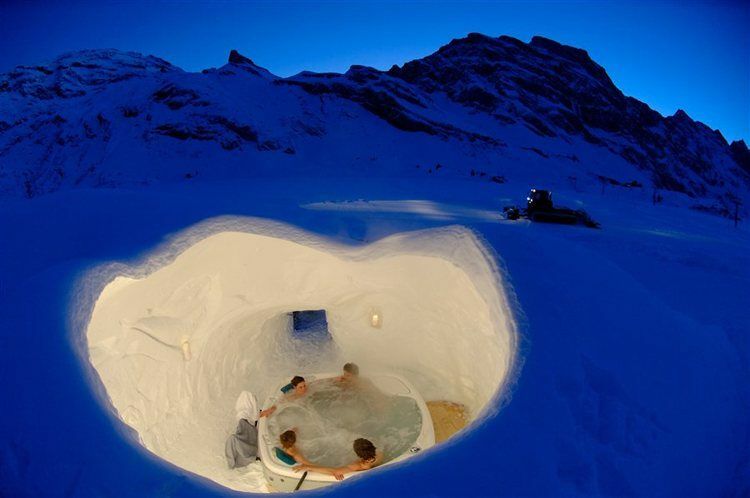 A collection of igloos connected by underground tunnels, some with saunas and jacuzzis, will have you wishing for winter all year round. Second, stay toasty warm with the Volt Cracow Women’s 7v Insulated Heated Vest. At the press of a button, the 3 heating zones embedded in the chest and back panels will keep you warm for up to 10 hours on the low setting or 2.5 hours of heat on the high setting. And third, snow bunny TrailblazerGirls will love the Les 3 Vallées in the French Alps. The 8 resorts with a total of 600kms (370 miles) of interconnected slopes, 328 runs, and 180 ski lifts will keep skiers and boarders happy. Okay, TrailblazerGirls, get out there and celebrate the cold!